A trailer is quite useful when you want to transport heavy stuff around with your vehicle. However, there are several issues you need to keep an eye on while towing a trailer behind your truck. Among them, the problem of sudden braking is really important, especially if you have to haul a formidable load. In such situation, you definitely want to have the best trailer brake controller by your side. If you happen to be in need of a suitable product in the category then this article is for you. You will find a list of excellent examples below. One thing you should always keep in mind is that people preferences vary a lot from one to the other. There is a diversity of trailer and towing vehicle as well so shopping on opinion is not always recommended. Many could feel one particular product is the best around yet its performance might be lackluster in your case. As a result, if you wish to have a wise investment, you must conduct a thorough research on available options. Compare them to each other and then to your own requirements. That is how you are able to make an informed purchase. 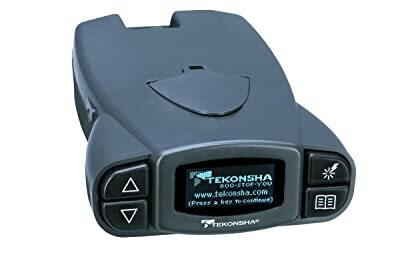 As an electric brake controller, the Tekonsha 90195 P3 is one the most effective product money can buy. It’s capable of matching a wide range of trailer from one to four axles without encountering many difficulties. The contrast of the LCD is adjustable to better fit the user taste, there are there languages choices as well. Should problems arise, the brake controller will illuminate itself in bright red to notify the driver. The output voltage, trailer connection,… All are monitored by the Tekonsha 90195 P3. It’s a quality product and simple to use. 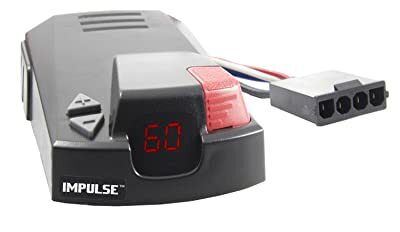 For installation, the built-in Plug N Play port permit extremely quick connection and convenient removal when not in use. 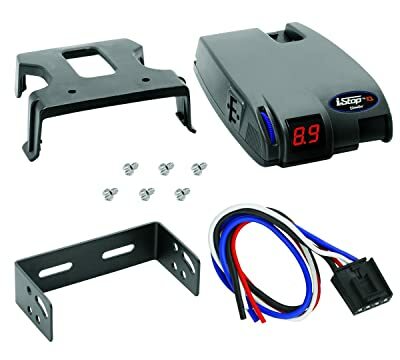 Other features included with the brake controller are G-Sensor, manual override switch and many more. While its price is indeed high, the quality of the Tekonsha 90195 P3 totally justifies the cost. If you want absolute safety and peace of mind on the road then you can’t go wrong with this product. The limited lifetime warranty the manufacture provide show the confidence they have in the Tekonsha 90195 P3. 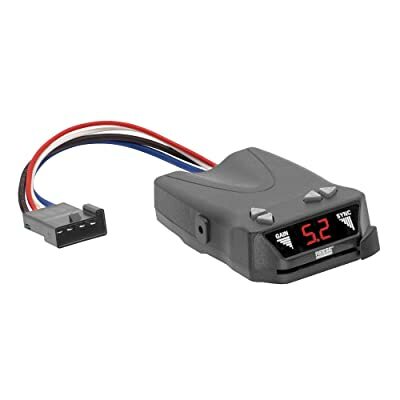 Suitable for one, two and three axles trailers, Draw-Tite 20191 is a reliable and affordable trailer brake controller. The presence of its boost feature enhances the product performance when you have to tow heavy weight trailers. Due to the removable connector and a snap-in clip, the brake controller can be removed for storage while not in use. It’s a self-leveling design there is no need for complicated adjustment process when you install it in. In term of weight, Draw-Tite 20191 is rather light yet its endurance remains excellent compared to other products. 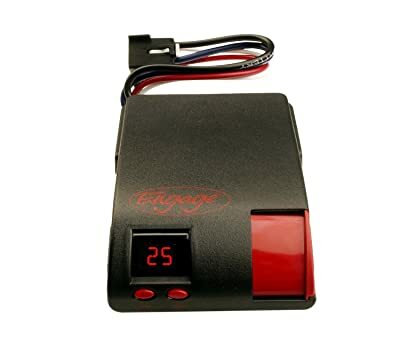 The LED display of this brake controller let you keep a close watch on the status of the trailer. It constantly runs diagnostic to detect potential problem then transmit alerts to the driver right away if anything goes wrong. Draw-Tite 20191 comes with its own mounting brackets and wiring harness for installation. You can hardwire it in if you wish by splicing the wires open end but that is not mandatory. It accepts two-pronged adapter so most of the time, all you have to do is using a universal patch cable. The installation should take around half an hour. Come with an affordable price tab, Towpower 8507111 Brakeman IV is an impressive brake controller which got the ability to control eight brakes simultaneously. It’s built on solid-state electronics which mean there are no movable parts and compatible to many mounting orientations. Thanks to the latest internal circuit protection technology ensure you have an uneventful experience using the Towpower 8507111 Brakeman IV. Designed to support trailers up to four axles, most people can put it to good use without noticeable problems. Because of the clearly labeled buttons in front of the controller, you should have no trouble adapting it to the current conditions. Separate adjustment controls permit the driver to have a high degree of control on trailer weight, activation speed and so on. The mounting brackets are included in the purchase and while it’s adequate, it’s recommended to get the designated wiring harness instead. If you are shopping on a budget, Towpower 8507111 Brakeman IV is an economical choice for your wallet. You can get it up and running in less than thirty minutes. The packaging could use a couple of improvements. Efficient and reliable, Hopkins 47235 Impulse allows you to achieve maximum safety in a towing operation. The versatile Flex-Mount of the brake controller is an innovative feature which let you install it without the use of tools. Components are light short proof to prevent potential damage to the wiring while the device is in use. Hopkins 47235 Impulse is capable of alerting the driver about short as well. Because of that, you can come up with the best course of action as soon as the short takes place. Sturdy and effective, CURT 51140 TriFlex is an adjustable product with nine levels of sensitivity settings. The brake controller name comes from its motion sensor design which is a triple axis accelerator. This makes the product operation very smooth and it’s sensitive to the smallest changes. Basic settings are shown on the digital display such as the control of eight brakes at a time. You will be provided with the device plug as well, all it takes is to plug it in and you are set. Its price tag also fit most people pocket too. Due to the automatic leveling and calibration, the CURT 51140 TriFlex has no complex setup requirements. When properly installed, the device is highly responsive and will apply the necessary braking power in all conditions. The associated mounting bracket permits the driver to install the brake controller in a variety of angle configuration. It’s advised to set up the CURT 51140 TriFlex by the sides of the steering column, either left or right. This keeps the controller from blocking your vision yet still reachable. For people that are in need of a time-delayed electric brake controller, the Hayes 81760 is a nice product to consider. It’s able to manage trailers up to three axles without much difficulty. The device got a manual overdrive lever for emergency occasions as well. 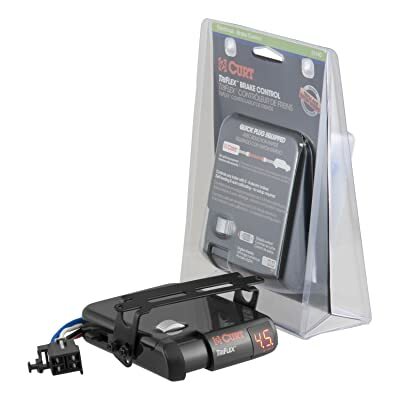 The controller power ramp time is fully adjustable to produce the desired responsiveness. As with other product, there is no need for level balancing. Its built-in troubleshooting feature is quite helpful in assisting the driver whenever an unknown issue arises. And those are some of the best trailer brake controller money can buy, see anything you like? With the help of the information, now you should have a good idea about available options and their features. Crosscheck them with your own needs and requirements in order to make a logical decision.